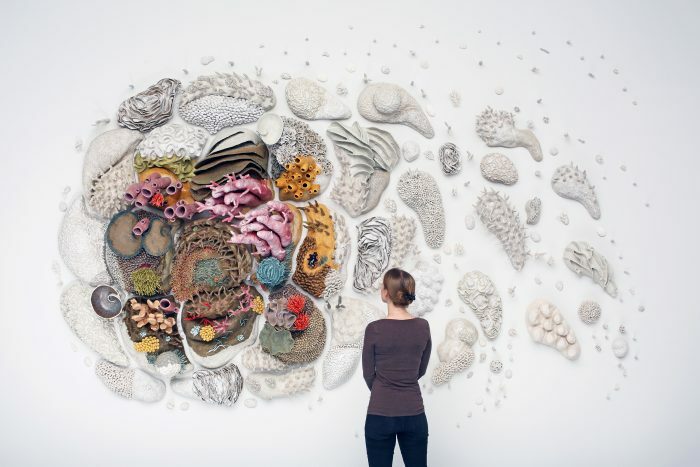 Courtney Mattison is an internationally recognized artist and ocean advocate working to inspire policymakers and the public to conserve our changing seas. 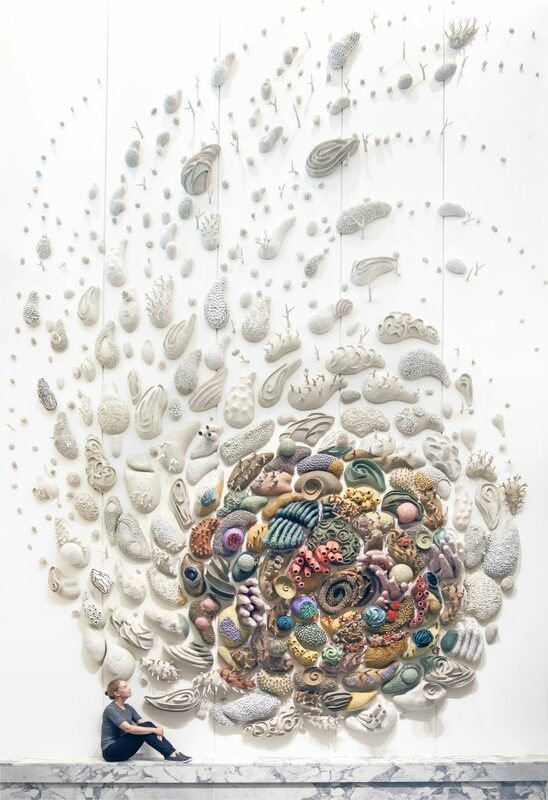 After studying marine biology and ceramic sculpture in college, Mattison dedicated her artistic career to creating intricately detailed ceramic sculptural works inspired by the fragile beauty of coral reefs and the human-caused threats they face in an effort to promote awareness for the protection of our blue planet. Mattison’s installations have been exhibited internationally in a wide range of prestigious institutions and publications from the U.S. Department of State’s Office of Art in Embassies to British Vogue. 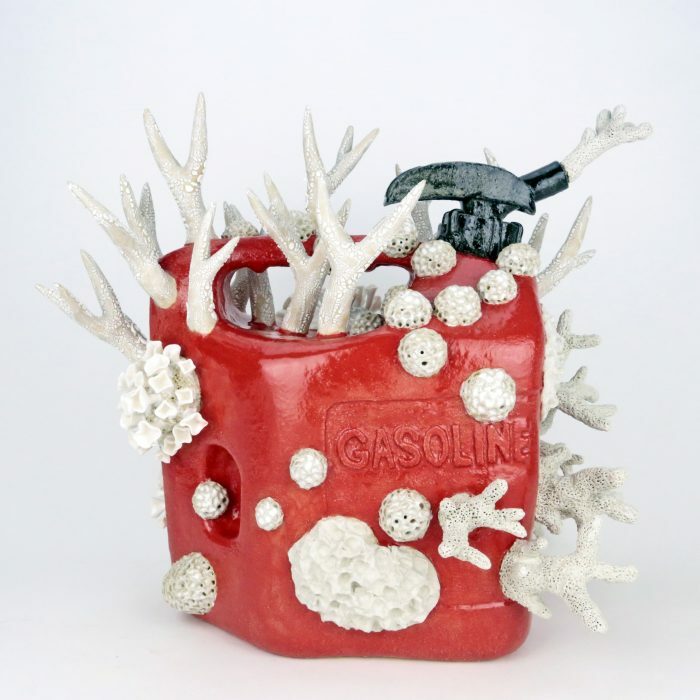 How would you describe your relationship to the ocean and the journey that brought you to focus your art on climate change, specifically coral bleaching? I’ve always felt that the sea is full of secrets, and have vivid memories of first discovering some of them as a kid, peeking inside crab traps strung along the piers of San Francisco Bay with my mom. Because art and the natural environment fascinated me from an early age, it felt natural for me to start studying marine biology and ceramics as a student at San Francisco University High School. That first marine biology class sparked my passion for marine science and is where I learned the basics of field research and dissection. That’s also when I first felt the urge to sculpt sea creatures out of clay because I found that it was easier for me to understand the anatomy of organisms I was studying if I recreated them in three dimensions. My work began to evolve from anatomical studies into more large-scale, representative pieces after I experienced the Great Barrier Reef for about nine months in 2007 as a study abroad student from Skidmore College. While there, I went scuba diving among some of the most beautiful and healthy reefs in the world and simultaneously took a series of marine biology classes that emphasized the threats to coral reefs. Just as I was falling in love with coral reefs I learned how easily we could lose them. 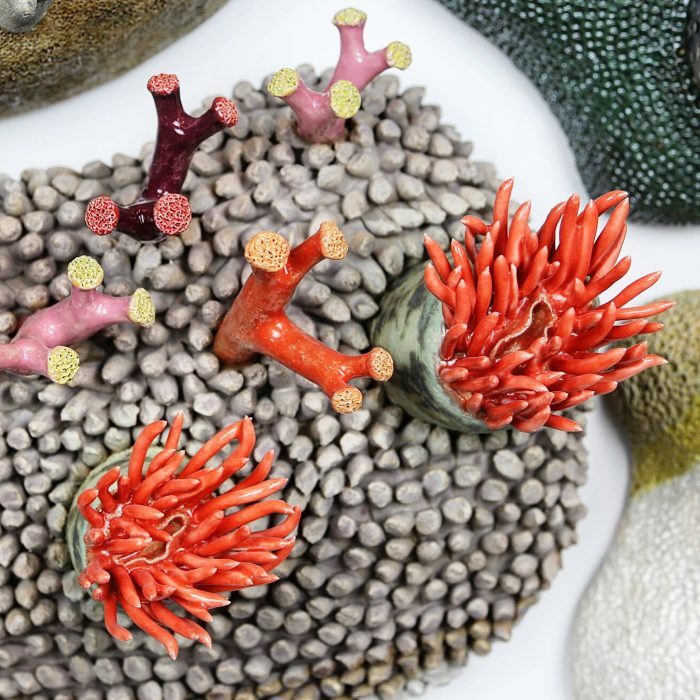 The understanding that something as exquisite and otherworldly as coral reefs was deteriorating so rapidly because of human activities was heartbreaking and motivated me to use my sculptural work to inspire conservation. As an artist, what do you feel your role is in the grand task of combating climate change? Are there any specific or general impacts you hope your art will have? The concept of climate change is nebulous to many, partly because it is difficult to visualize. As a ceramic sculptor with a background in environmental science, I believe art has a unique power to influence how we understand our lives and our planet by creating an emotional connection to concepts that are otherwise easy to ignore. We protect what we care about, and we care about what we know and understand. My work brings the plight of coral reefs above the surface and into view, urging viewers to appreciate their fragile beauty and empathize with the threats they face in ways that will hopefully drive us to change our behavior. 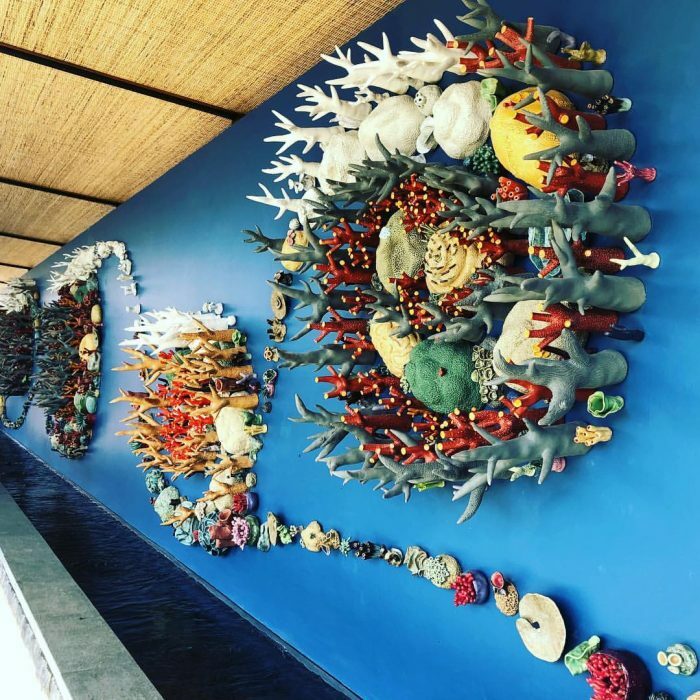 Can you share more about the Semesta Terumbu Karang—Coral Universe installation you made for the Coral Triangle Center in Bali? How did you integrate researching the Coral Triangle, the most biodiverse marine environment, into your artistic practice? Semesta Terumbu Karang—Coral Universe is a grassroots celebration of the exquisite life forms that comprise Earth’s most diverse marine ecosystem—the Coral Triangle. The Coral Triangle Center made this project possible through a unique collaboration between their NGO, the government training center Balai Teknologi Industri Kreatif Keramik and Balinese ceramic company Jenggala Ceramic, both of which donated space and resources. Before sculpting the piece I was lucky to explore reefs around Indonesia, scuba diving and snorkeling in Raja Ampat, Komodo, and Bali. The richness and diversity of reef species in the Coral Triangle are mind-boggling and served as an endless muse for the project and my work moving forward. 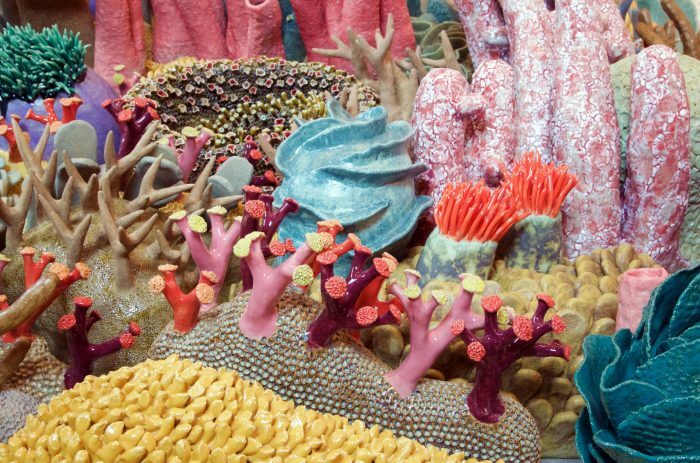 When making the piece, my intention was to highlight the fragile beauty and value of healthy reefs as well as the threats that human-caused climate change poses in this vital region. 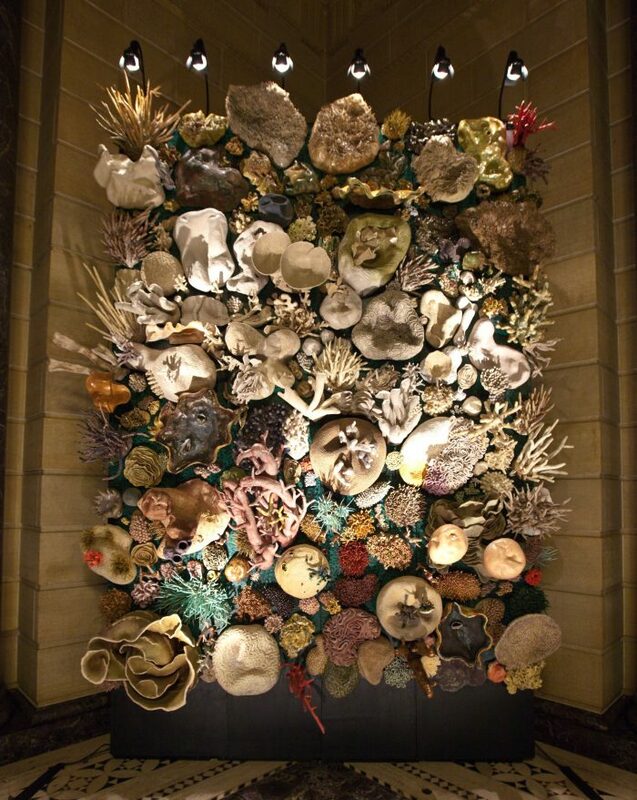 To complete it I worked with a team of coral conservationists, artisans, and over 300 volunteers. The unveiling of the work on the eve of the Our Ocean Conference in Bali on October 28, 2018 commemorated both the International Year of the Reef 2018 (IYOR) as well as the presidency of Indonesia, Monaco and Australia in the International Coral Reef Initiative (ICRI). 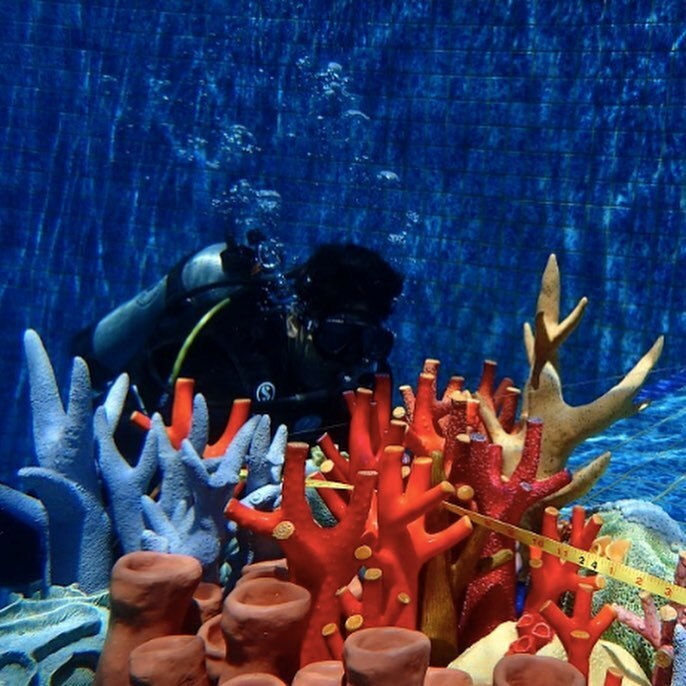 The Center hopes to host over 100,000 visitors each year to view the installation and learn about coral reefs. Here at Oceanic Global, we talk a lot about waste since so much of it ends up in our oceans. Making art can often be a process that creates a lot of waste, is this something that you consider in your practice? Are your choice of materials influenced by their impact on the world? The production of ceramic sculptural works requires a significant amount of energy to fire kilns, power and ventilate the studio and transport pieces. I make every effort to recycle, reduce waste, purchase bulk and local materials and only fire full kilns. Furthermore, I am exploring how to power my studio with solar energy. I also give back by supporting ocean conservation programs like Mission Blue, an initiative of the Sylvia Earle Alliance founded by legendary oceanographer Dr. Sylvia Earle. Check out the links below to see more of Mattison’s work!